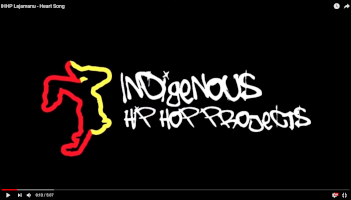 Indigenous Hip Hop Projects was proud to partner with Katherine West Health Board and the Lajamanu Community NT to create this follow up deadly Music Video/ Health Resource. The key message was focused on the serious heart disease Rheumatic Fever. Every person in community has the power to make the right choice and lead a happy healthy life. Community members who have this illness need to get a jab every 28 days to keep them healthy. Respect to Lajamanu Community. We were honoured to have North Tanami Band assisting us with this creative process and recording the deadly song. Please share, Like, Post repost and get this out to the world.